Floral Danielle: Wednesday wishlist #11 - And an excluse 20% discount off the black lace cami! Wednesday wishlist #11 - And an excluse 20% discount off the black lace cami! This is my second of probably many A/W wishlists as there are so many gorgeous things to buy at the moment! 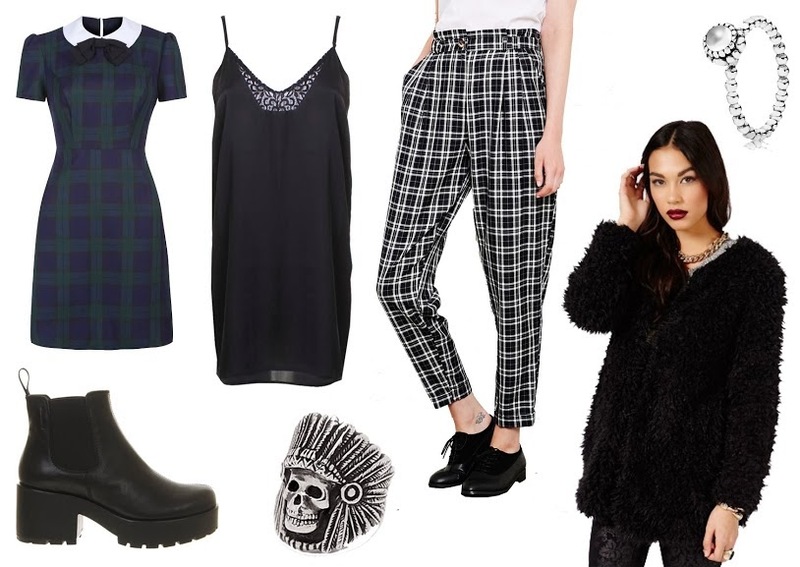 Even though I'm skint and I have nowhere nice to wear any new clothes because I'm a third year fashion student who is constantly tied to my sewing machine, it doesn't mean I can't window shop/procrastinate and make loads of wishlists of the things I plan to buy when I finish uni and get a full time job! Primark doesn't actually have a website that you can buy off yet, so I just linked to the current website where you can see new products and the prices. I really wasn't too fussed about these tartan dresses when I first saw them, but the more I've seen them on people, the more I've decided I'd actually quite like one! I've been after a few black staple pieces to go into my Autumn/Winter wardrobe that I can just grab and layer in a rush but that will still look nice. I love the simplicity of this dress yet the lace insert and triangle back are just gorgeous! Edit - Since posting this blog post, I was contacted by 'In Love With Fashion' who have given me and my readers an exclusive discount code for this black cami dress! Get 20% off with discount code 'floraldanielle' - ORDERED! I've also been on the lookout for some high waisted tailored trousers for this Winter as the leggings and tights just aren't keeping me warm! I'm really fussy when it comes to trousers and can never find any that I like, and now that I have, they're nearly £50 boo! I've recently become obsessed with silver jewellery (as previously mentioned here) and I've been trying to start a little collection of real silver jewellery as I hate having to take my rings off when I wash my hands just so that they don't rust! The clear stone is the April birthstone and I actually love how it looks. Okayyyy so this would definitely be another investment buy, but how cute is it?! I have always loved the rings from this company, but after seeing Sammi from Beauty Crush wear hers, I realised that it's actually a lot daintier and cute than I thought, which makes me want it even more! I've been lusting over all the lovely fluffy cardigans on the Missguided website for a while now, and I've decided I'm gonna have to take the plunge and buy at least one! I think I like this one the best because it's long sleeved and looks so, so snuggly and warm. Link me your blog if you have any A/W wishlists! Ah that shearling coat looks wonderful! I want it! I want it alllll! Especially the Missguided jacket yumyumyum! Also love the black cami dress! oo the chelsea boots are gorgeous! 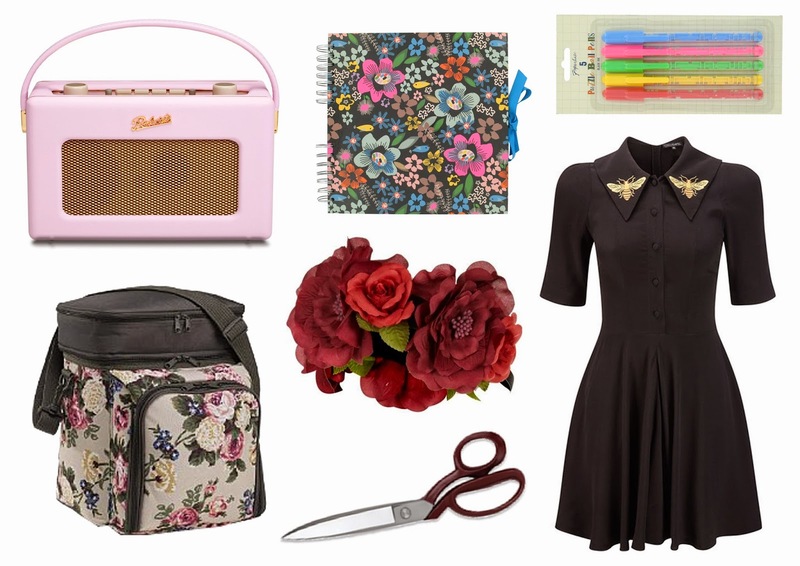 That Primark dress is beyond tempting, really.